The Tideflex Hydraulic Mixing System is a multi-port, variable orifice nozzle system. The Tideflex nozzles are variable orifice due to the flexible nozzle opening, the nozzle will only open to the area required to handle the mass flow as compared to fixed area nozzles. The discharge velocity from the Tideflex nozzles is always optimized as it will have the minimal open area and highest discharge velocity. Mixing in these systems is defined by velocity gradient achieved, this gradient is determined by the total mass flow and the velocity discharged from each nozzle. The Tideflex® HRMS Mixing Nozzles will only open enough to discharge the fluid relative to the mass flow. Therefore, the effective open area of the discharge varies as the flow varies. These nozzle constructions will vary in applied rigidity (sidewall thickness) so that they produce the required discharge velocity. 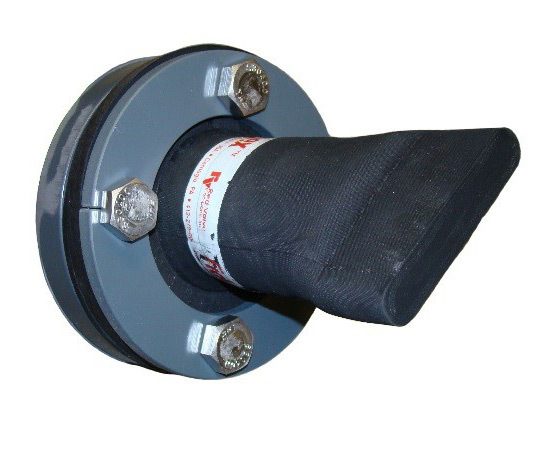 This provides maximum discharge velocity at any discharge rate – fixed port nozzles cannot achieve this feature. Any solids of large diameter recirculated through the system will passthrough the discharge nozzles as they will expand to release the solid, then return to optimal discharge velocity. 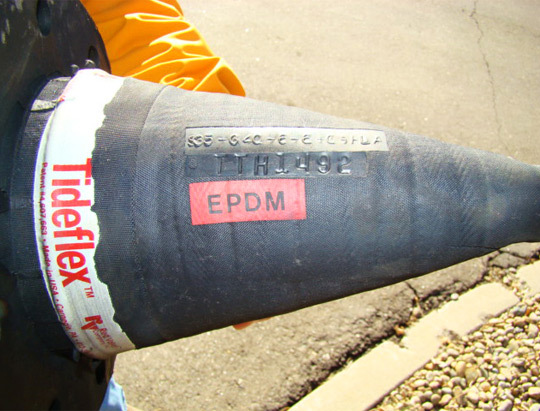 Tideflex® has hydraulically tested all of the mixing nozzle sizes and constructions for confirmation of the discharge velocities produced at various nozzle constructions. These tests were conducted by independent laboratories. Applications with high solids or high settling rates require that the initial discharge energy from the nozzle be directed at these solids to put them back into suspension. 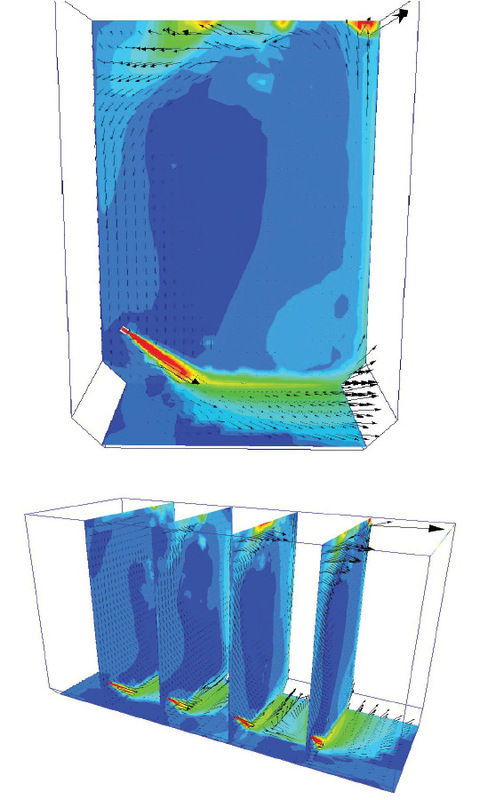 The CFD models show the high-velocity discharge near the floor and the resulting momentum mixing loop produced. 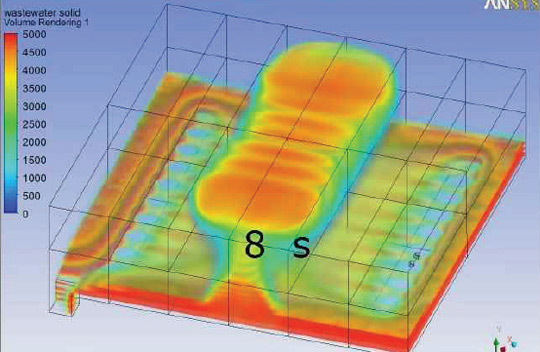 Tideflex® engineers employ CFD modeling to confirm arrangement plans and ensure optimal system performance. HRMS Mixing Systems are designed using CFD modeling of the geometric fluid body, hydraulic analysis of discharge plumes, and mathematical modeling of applied mixing energies. Multi-port mixing systems provide better mixing coverage across the fluid body. 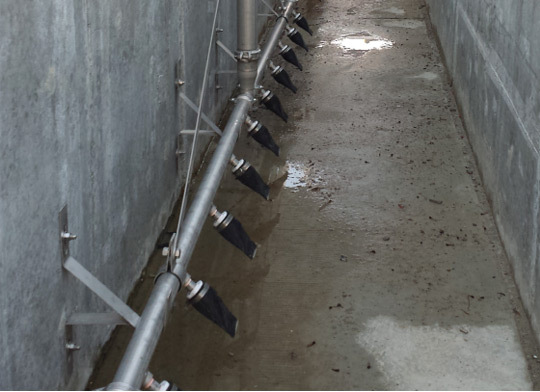 These systems are designed to keep the settled solids in suspension and generate a homogeneous fluid state. 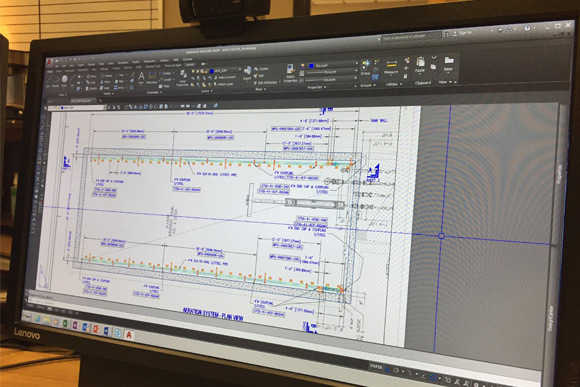 Tideflex® Engineering can provide the design of the system and associated modeling, along with all of the mixing equipment installed within the tank. 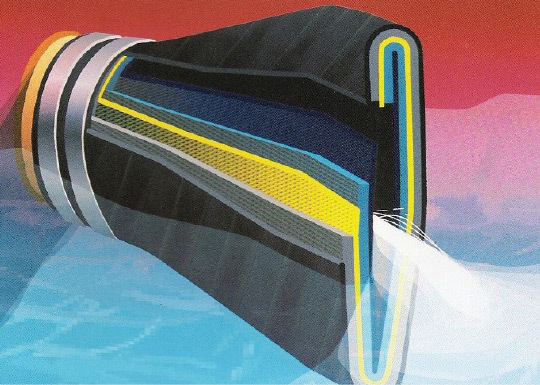 Tideflex® hydrodynamic mixing nozzles are fabricated from built-up layers of elastomer and reinforcing fabrics. 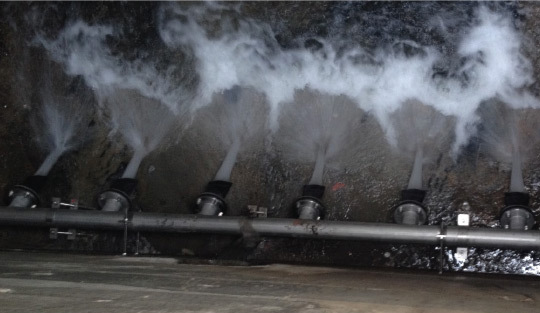 The construction rigidity of the nozzles sets the discharge velocity produced. This construction thickness can vary with every nominal size nozzle, providing numerous possible discharge velocities for each mixing nozzle. The primary application for hydraulic recirculation and mixing systems is in anoxic mixing processes. These mixing systems operate in anoxic conditions where oxygen transfer can be detrimental to the process. 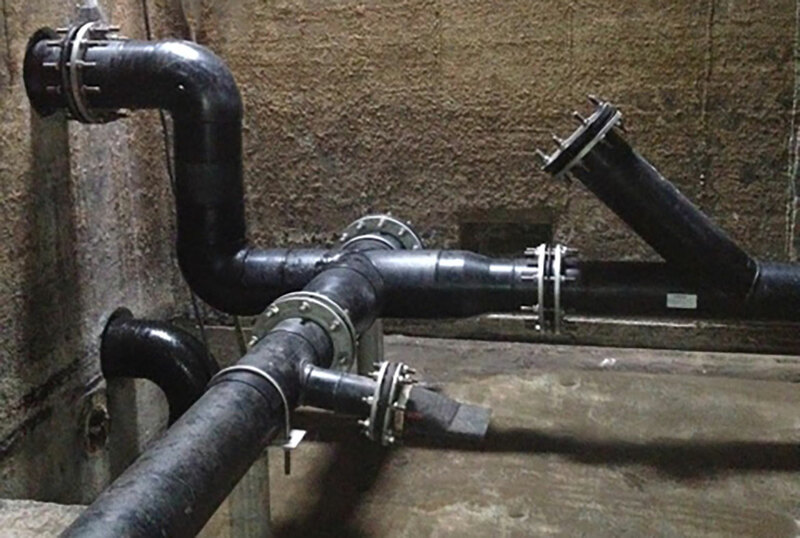 Nutrient removal processes require large volumes of the wastewater be recirculated to the head of the process. This large recirculation volume is accompanied by large storage cell areas which require anoxic mixing. Anaerobic sludge storage tanks can be effectively mixed using hydraulic recirculation and mixing. The mixing requirement for anaerobic processes is significantly less than aerobic processes. The mixing systems in these applications are typically operated on a cycling or periodic basis. Multi-port nozzle systems provide optimal mixing across the entire tank floor, eliminating potential for solids accumulation. Variable orifice nozzles provide optimal discharge velocity during operation. The flexible discharge nozzle will also allow large diameter solids to pass through the nozzle and prevent clogging. Grit can accumulate in many locations throughout the treatment facility, especially in the headworks area where primary removal for grit is conducted. For concentrated grit areas, hydraulic nozzles can be directed into the zones to re-suspend these particles for removal. Wastewater transfer sumps and wetwells will accumulate grit and large solids. The discharge pumps can be utilized to provide recirculated flow for mixing of the wetwell during pump initialization. Hydraulic Mixing Systems provide excellent re-suspension of settled solids. If floating debris is present (fats, oils, grease build-up), then a Tideflex® Course Bubble Mixing System should be applied to break up this material and mix it with the fluid. The Tideflex® HRMS Mixing System is supplied ready for installation by an installation contractor or the owner’s staff. 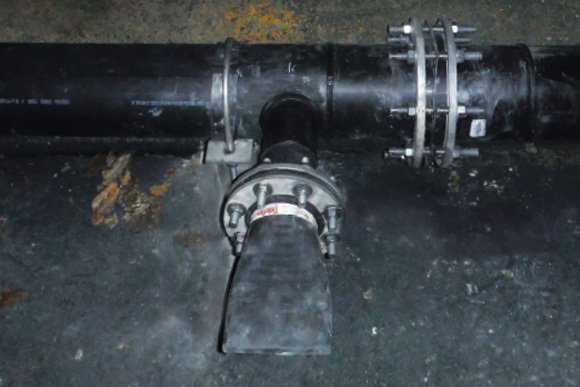 All pipe and equipment connections are either flanged, coupled, or threaded. There are no requirements for field welding, field fabrication, or any field modifications – the system is supplied as a kit ready for easy installation. The recirculation pump type is selected and provided by the customer; the pump sizing requirements are provided by Tideflex®. 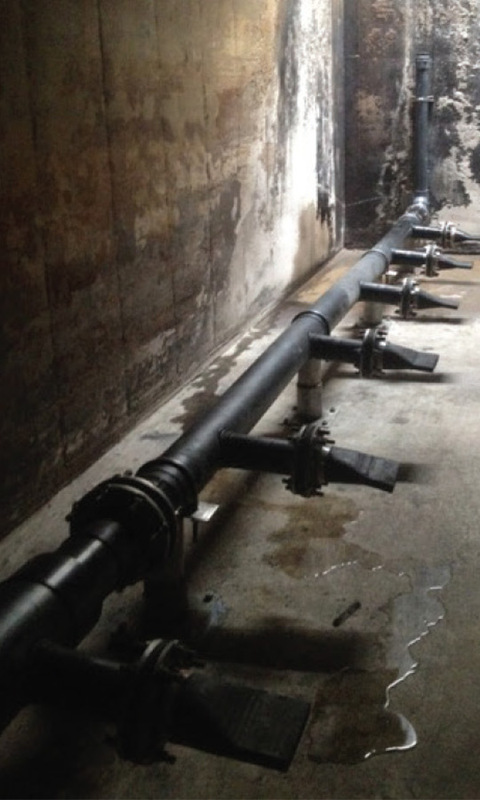 All tank internal pipe supports are provided for the piping system, as well as detailed installation instructions. These supports are anchored with seismic grade epoxy adhesive, which is provided by Tideflex®. 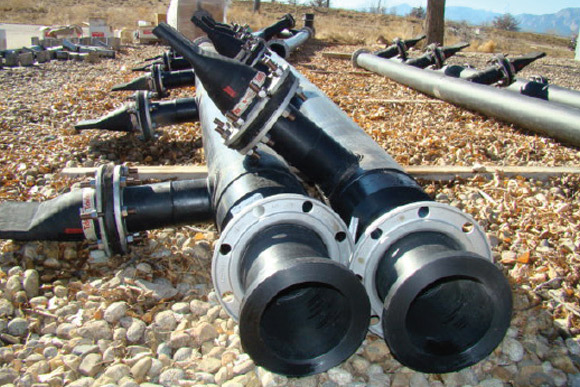 The hydrodynamic mixing nozzles are connected via a flanged joint to ensure the nozzles remain anchored during the system operation when dynamic loads are being applied to the system. 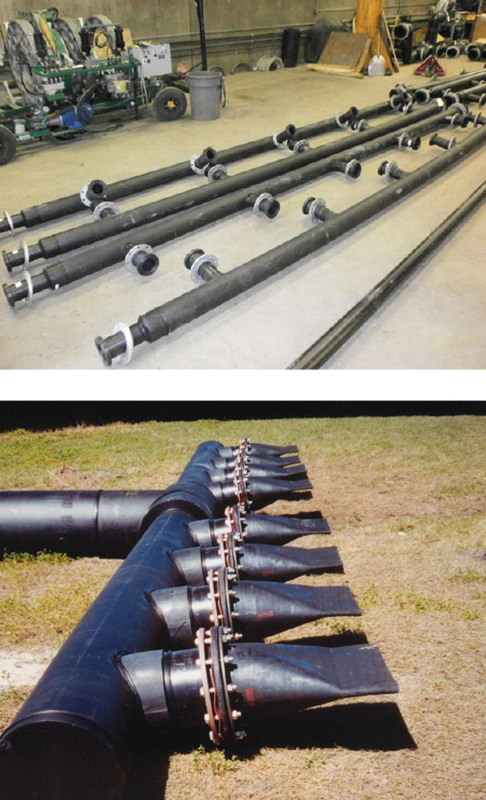 Tideflex® Hydraulic Mixing Systems are most commonly fabricated using either HDPE or stainless steel pipe. These two materials can be used to fabricate specialty configurations and nozzle orientations. These materials are strong enough for the turbulent mixing environment as well as resistant to corrosion and deterioration associated to wastewater processes. Tideflex® nozzles are built with elastomeric flanges to perform in high-velocity applications and ensure each nozzle remains firmly connected to the manifold. Tideflex® hydraulic mixing nozzles are fabricated from various elastomers in combination with internal fabric reinforcing wrapped through the nozzle. The construction rigidity is set by the design process to produce the required discharge velocities. Therefore, every Tideflex® hydraulic nozzle is designed and constructed specifically for the application (no generic nozzles applied). 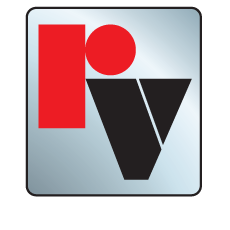 Since every nozzle is unique and specific to the application, the construction designation is indicated on every nozzle. 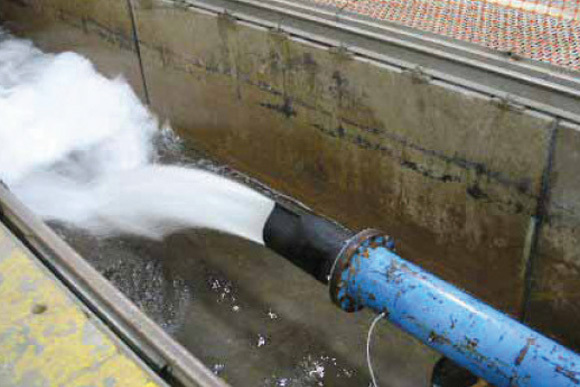 Tideflex® Mixing Systems are designed by staff environmental and process engineers. Tideflex® Technologies has developed numerous mathematical, process and hydrodynamic models for use in sizing various Mixing Systems. Tideflex® continues to lead the industry in mixing technology—we welcome the opportunity to provide a no obligation evaluation of your system to help achieve optimal mixing performance.